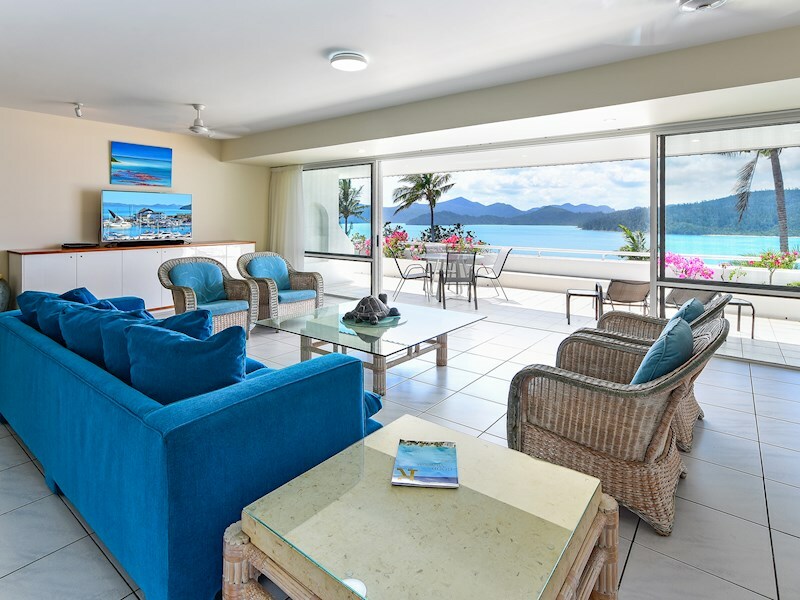 Light-filled two bedroom apartment with beautiful views. 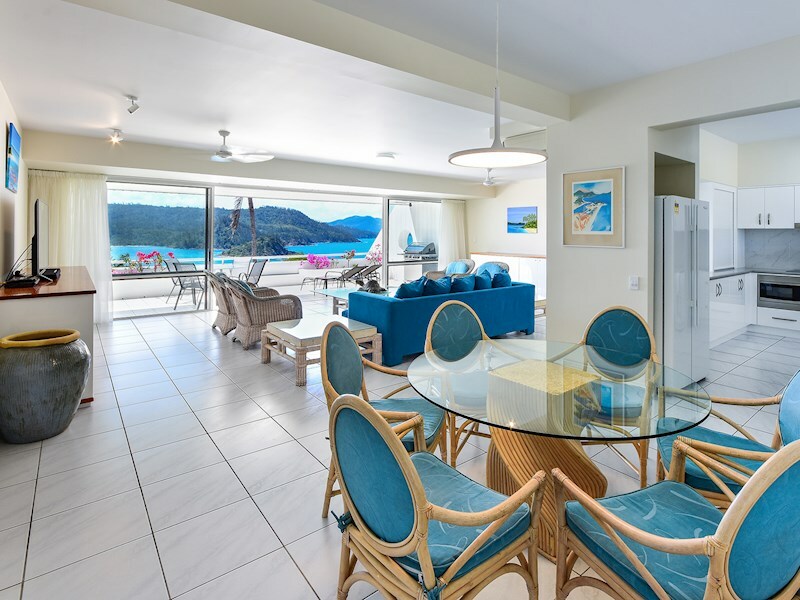 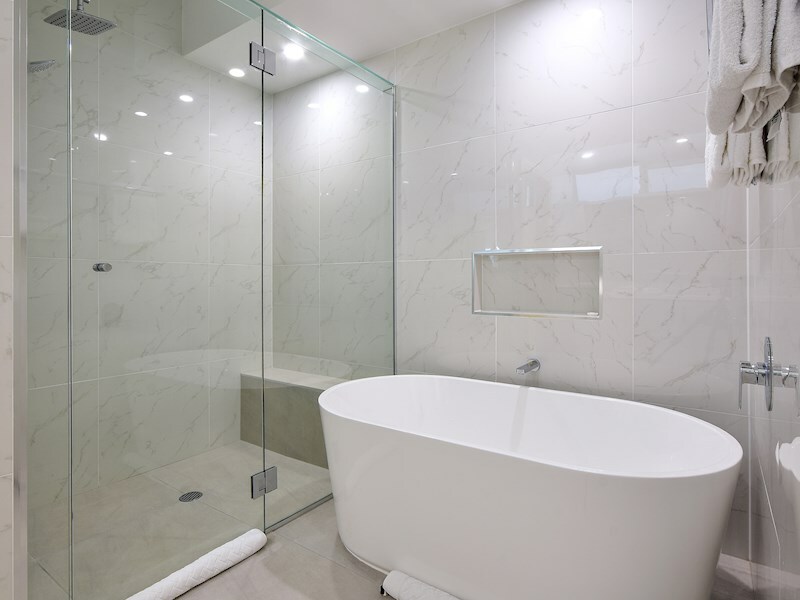 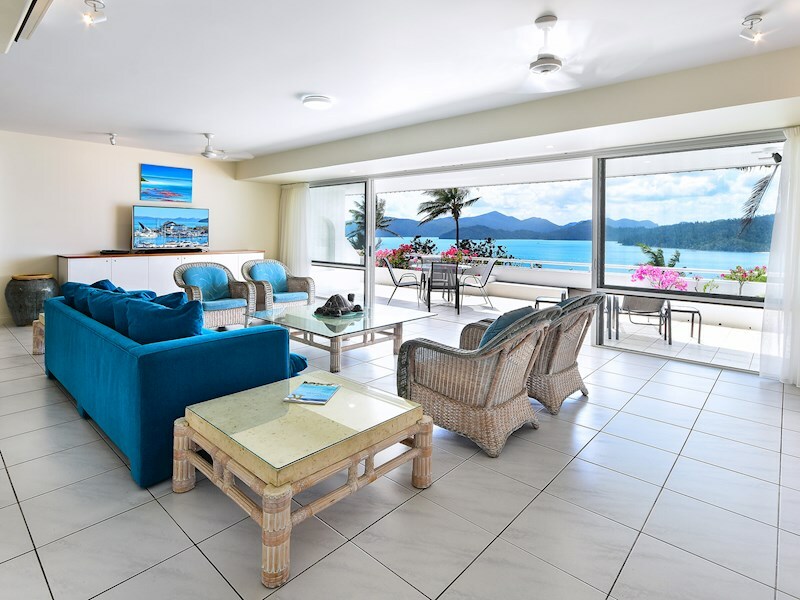 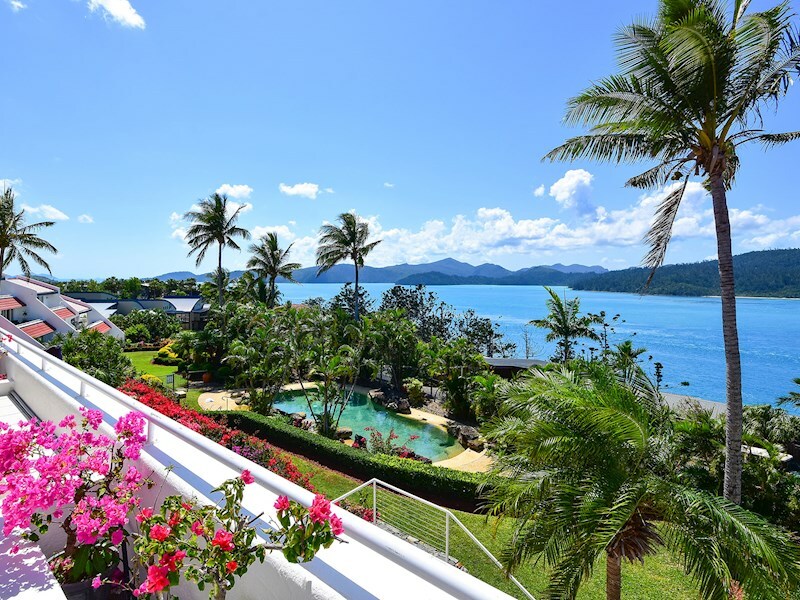 Flowing over a single level, this luxurious two bedroom apartment is located on the exclusive northern end of Hamilton Island. 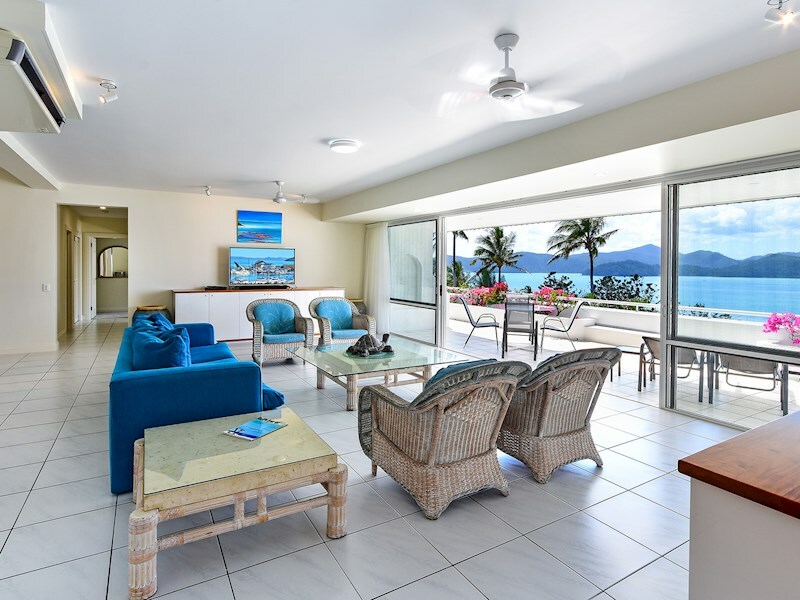 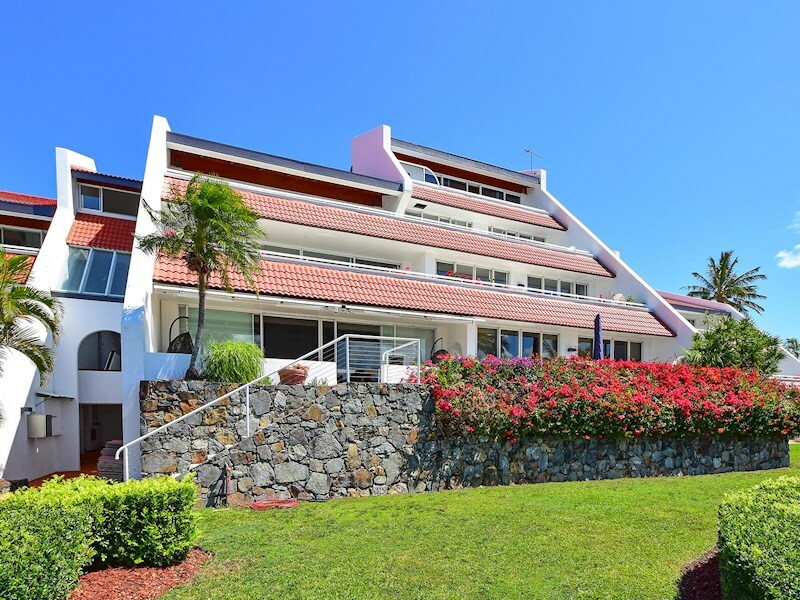 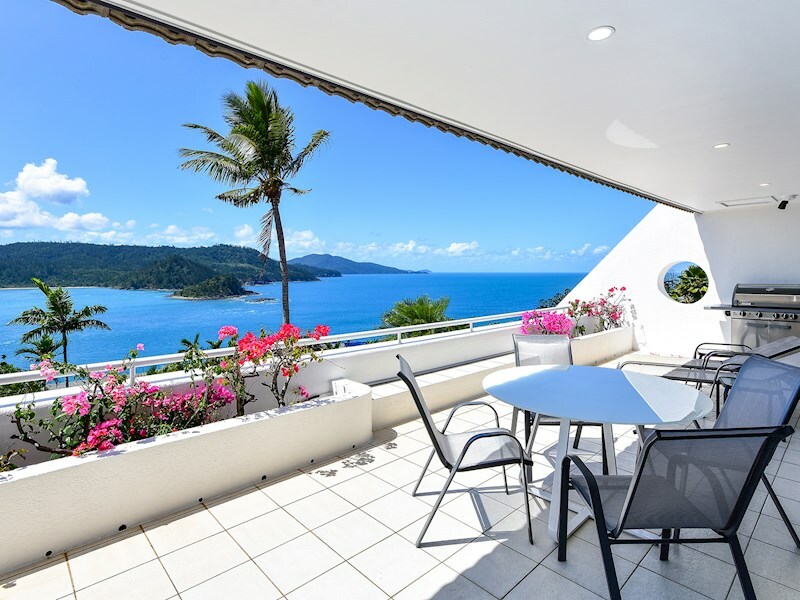 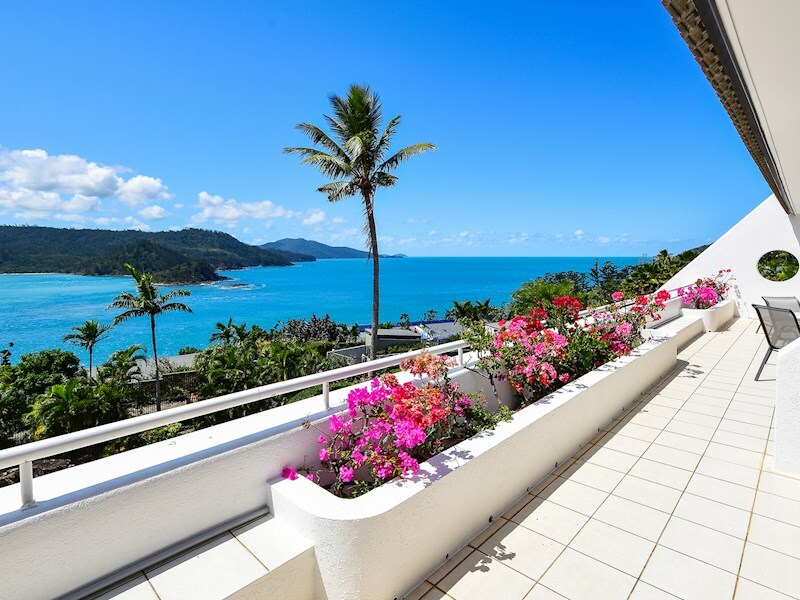 Enjoy breathtaking views across mature tropical gardens to the Fitzallan Passage and Whitsunday Island. 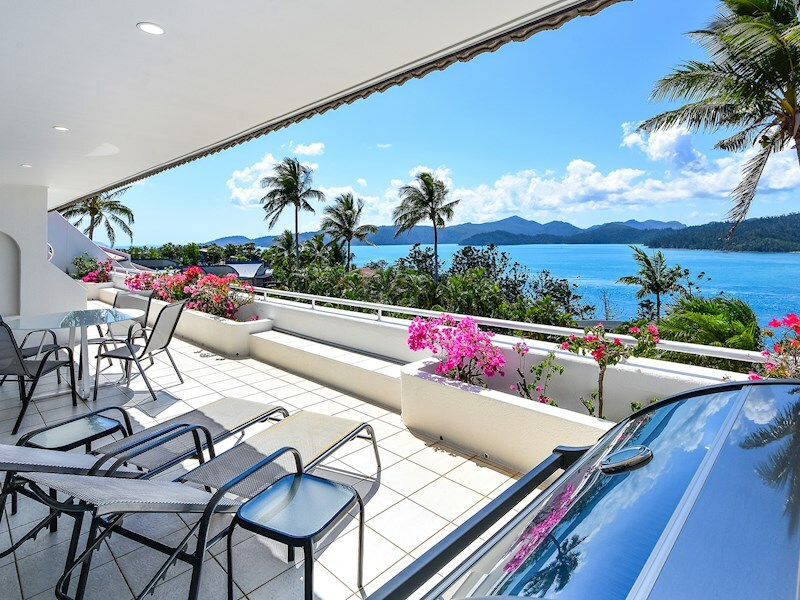 Located on the first floor, this spacious apartment opens onto a large, private entertaining terrace. 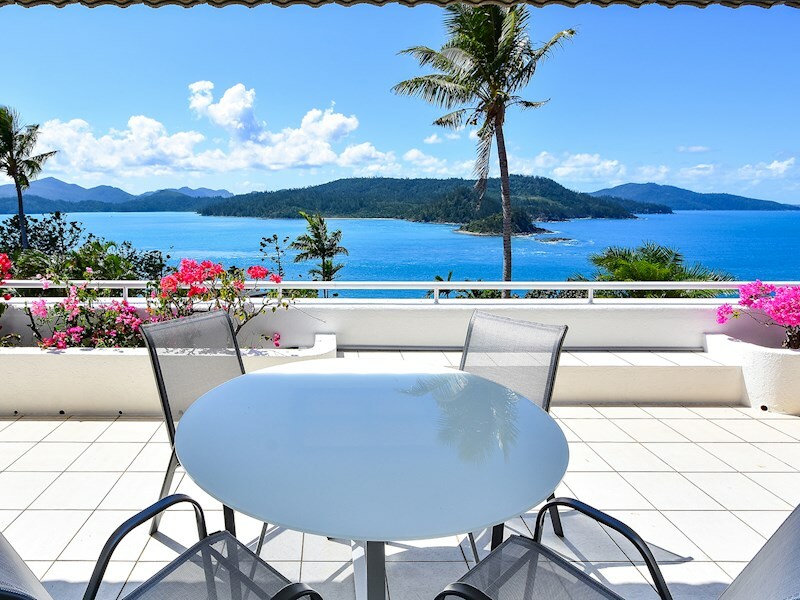 There is also an outdoor dining table for six people, and it's an ideal spot for whale watching in the right season! 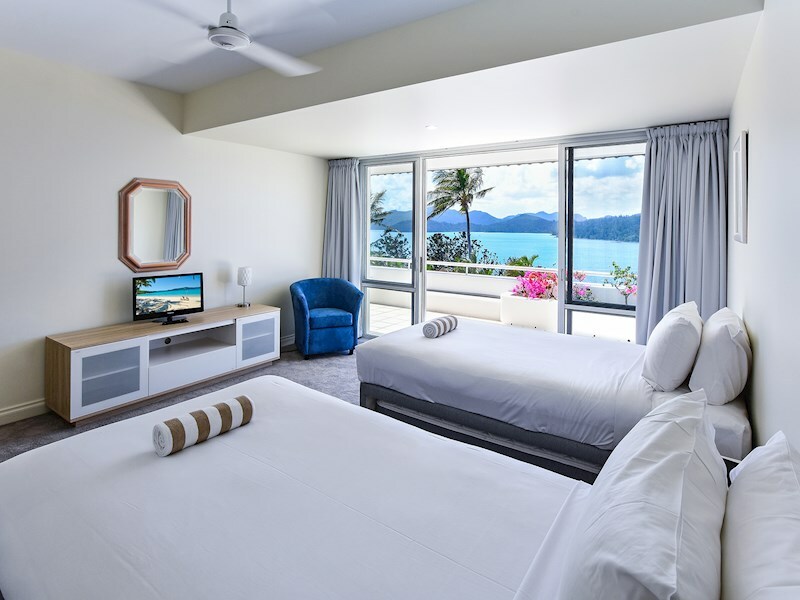 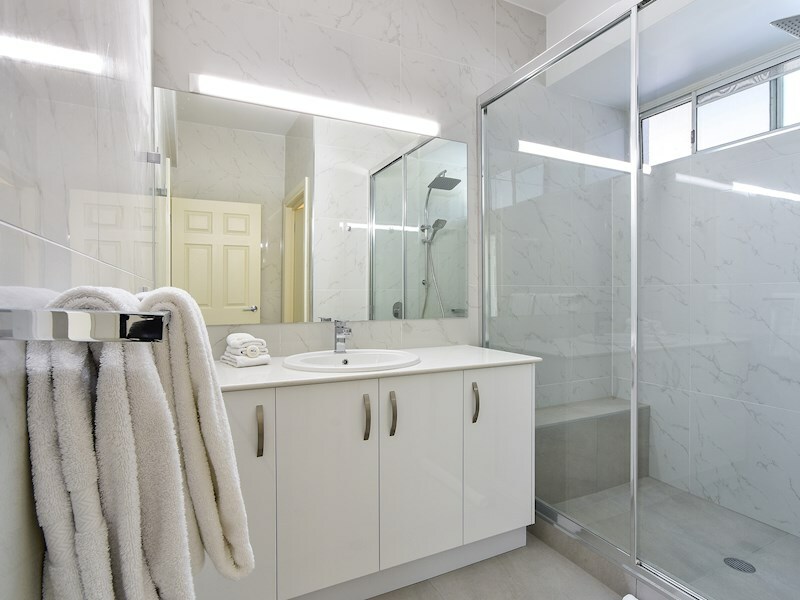 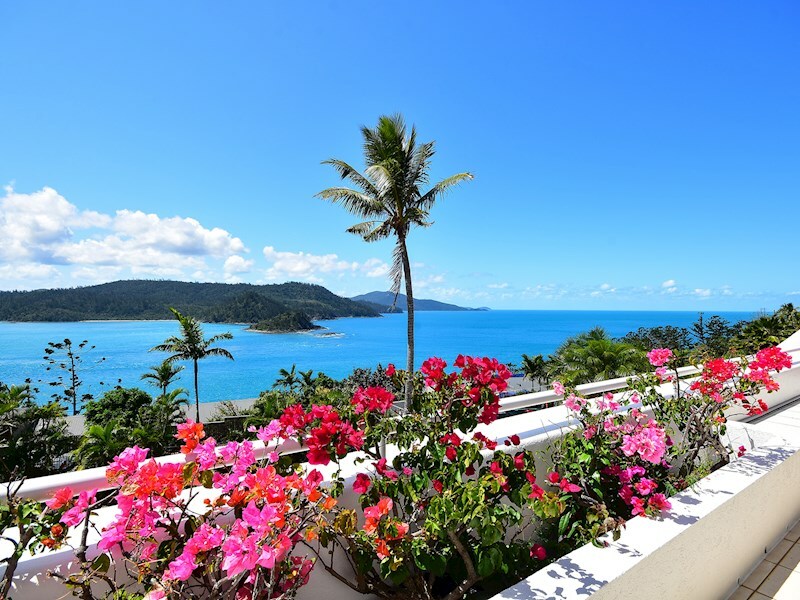 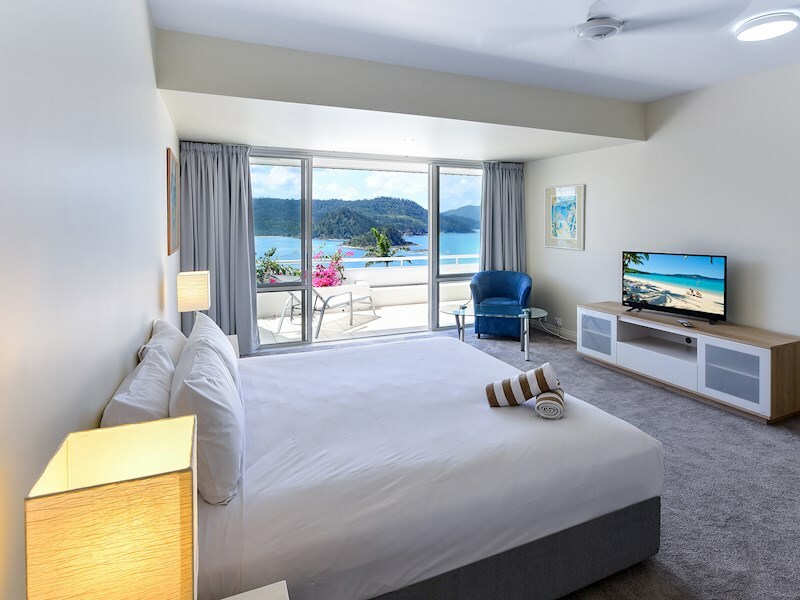 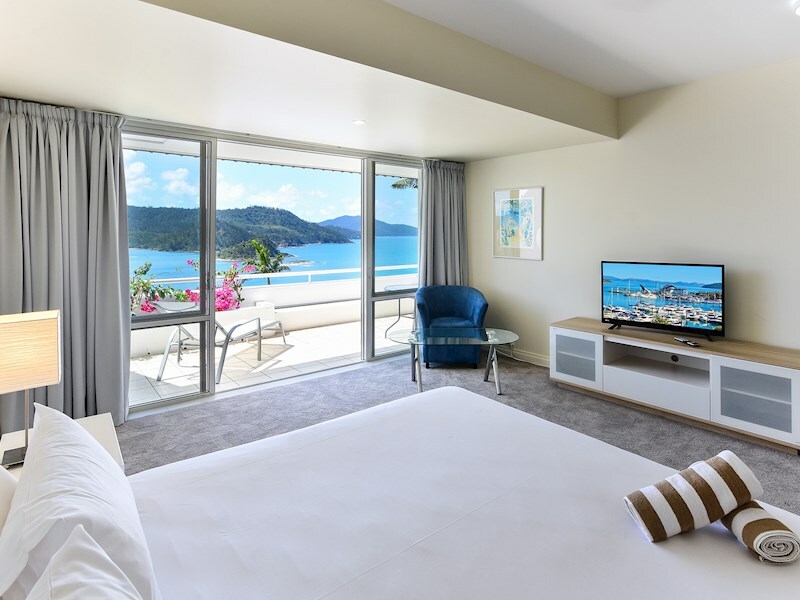 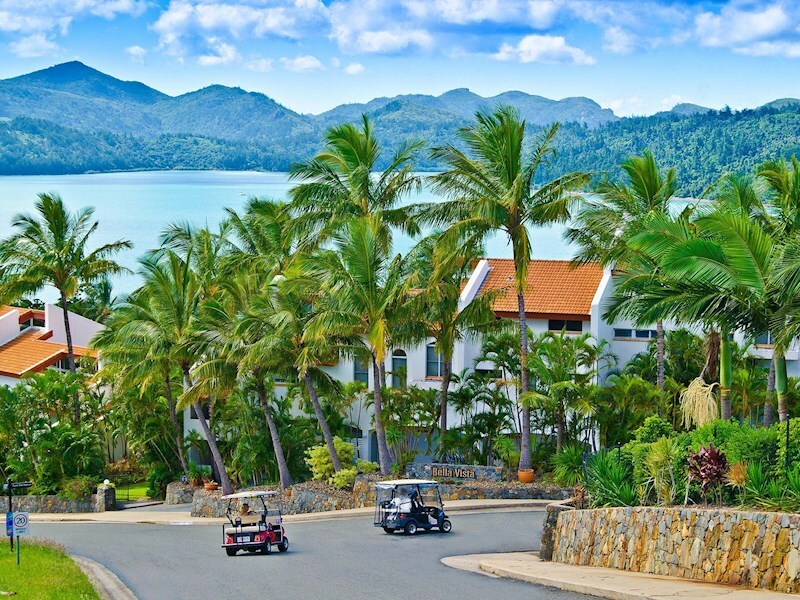 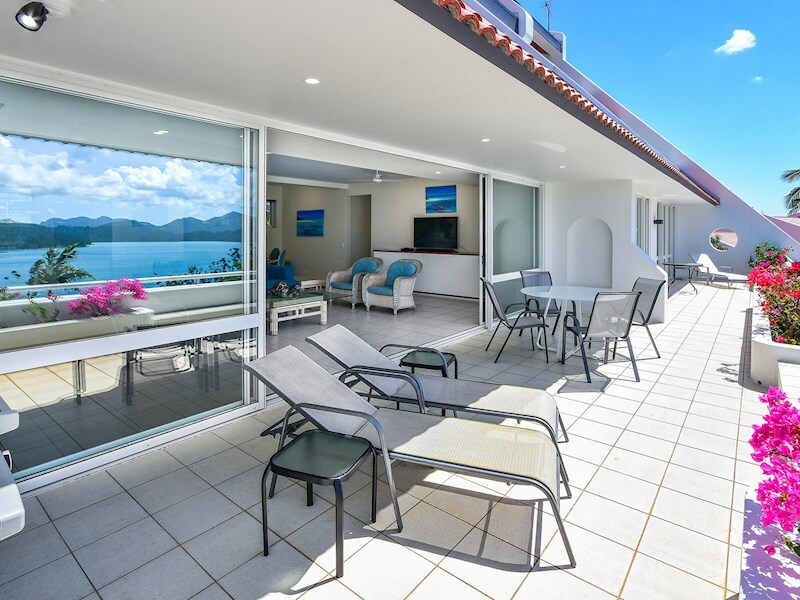 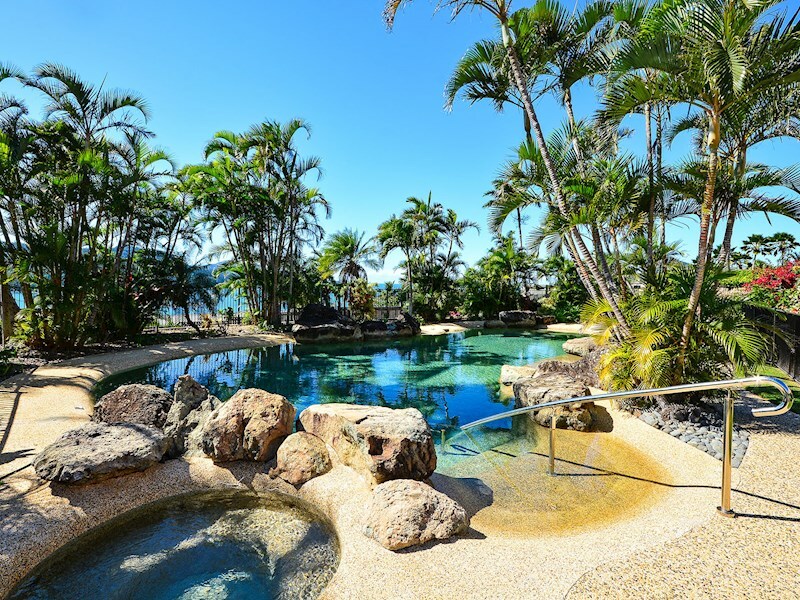 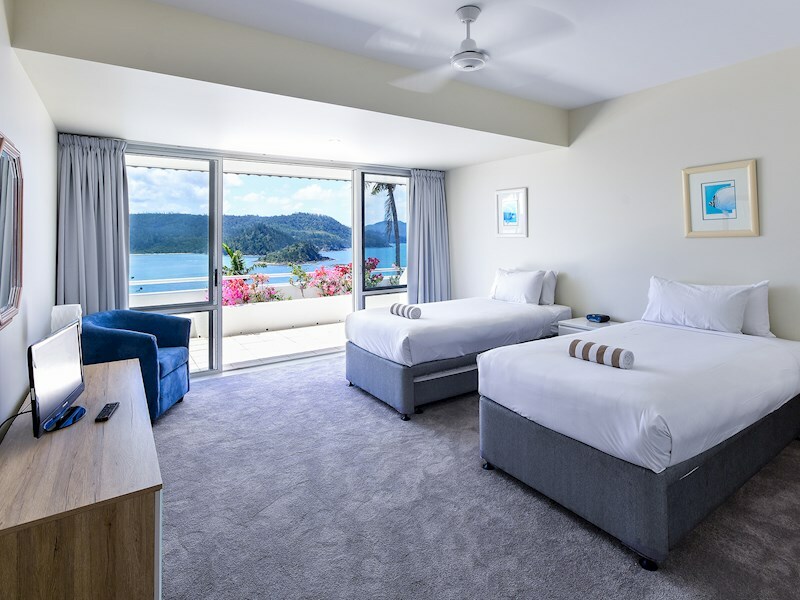 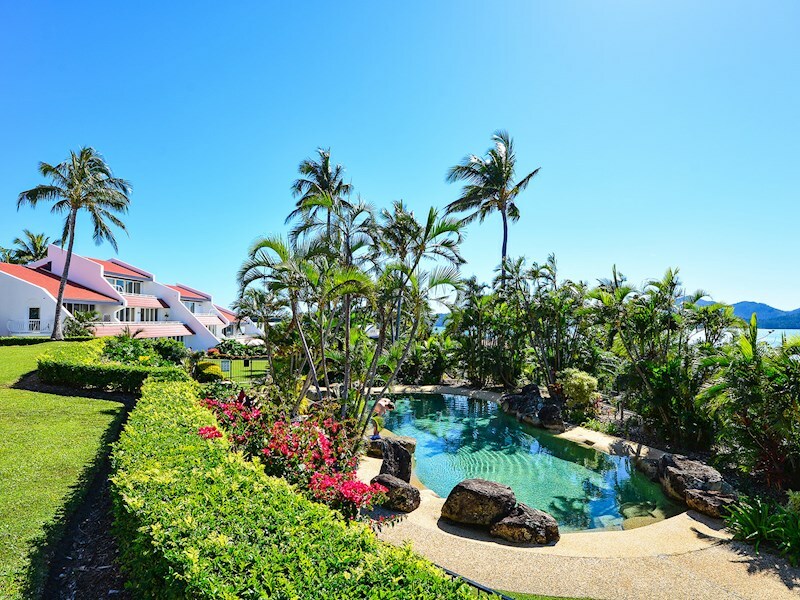 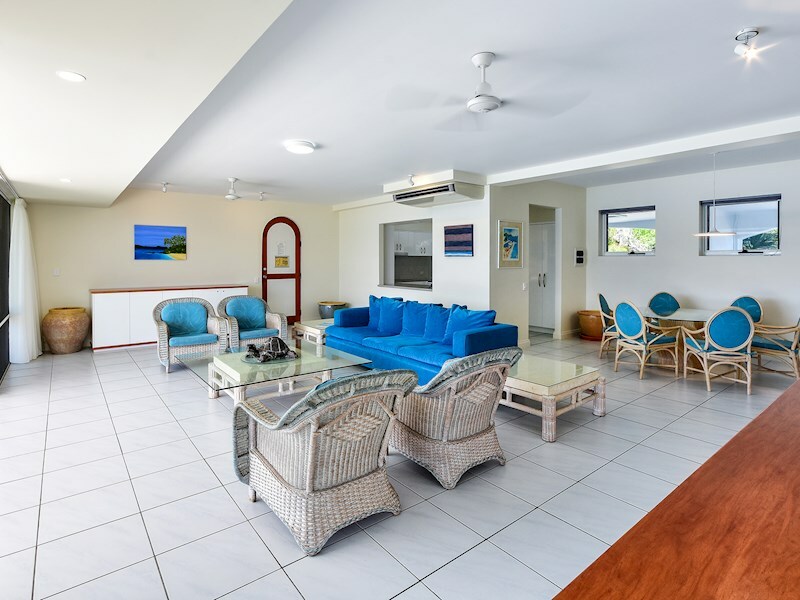 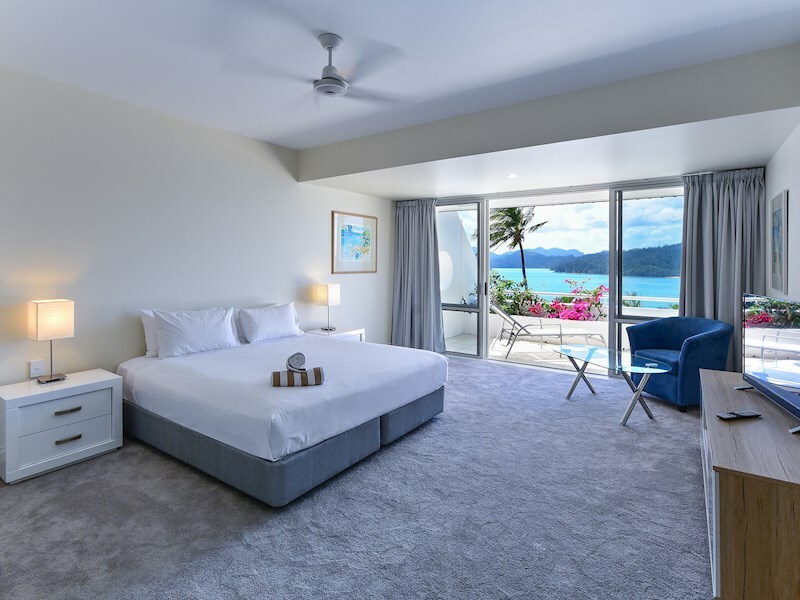 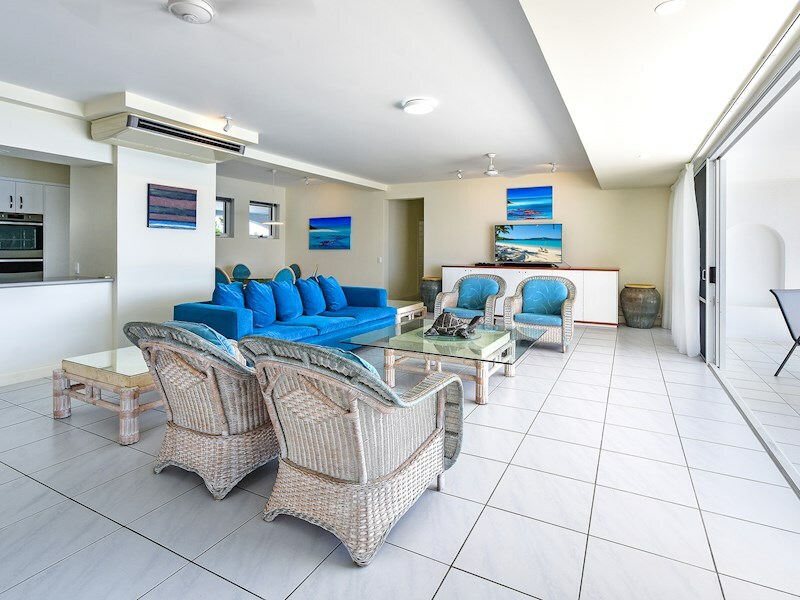 Situated in the prestigious northern end of Hamilton Island - near the renowned qualia resort - you're just a short buggy ride to all of the island's main attractions. 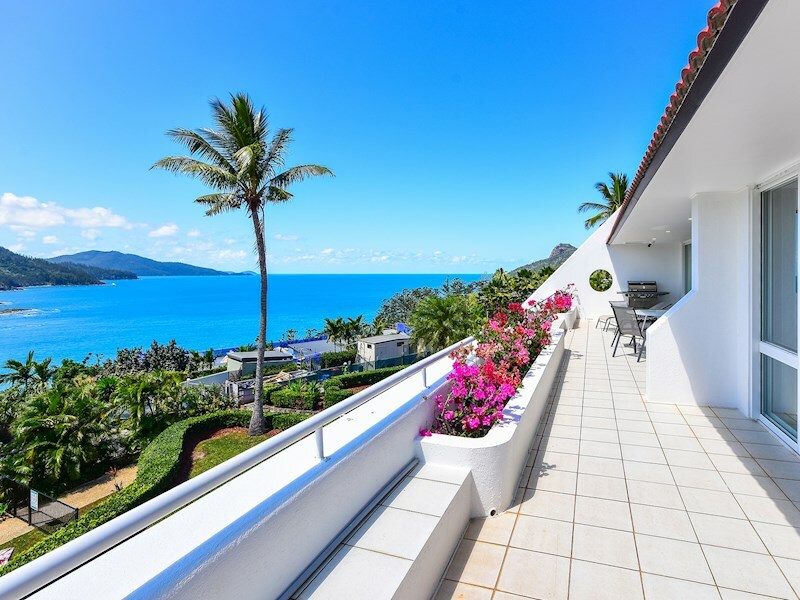 There are two spacious bedrooms, both of which have spectacular views, and open onto their own terrace. 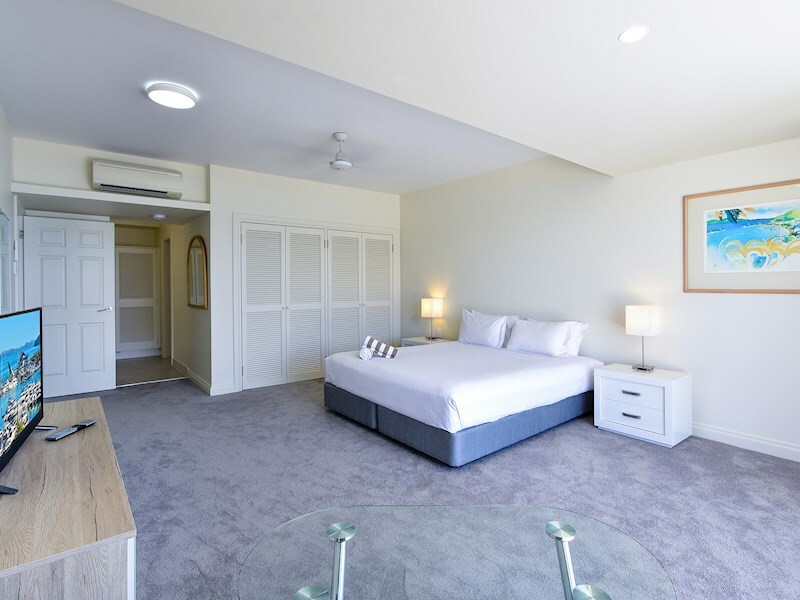 The first bedroom has a king bed, and the second has split king with two single trundles. 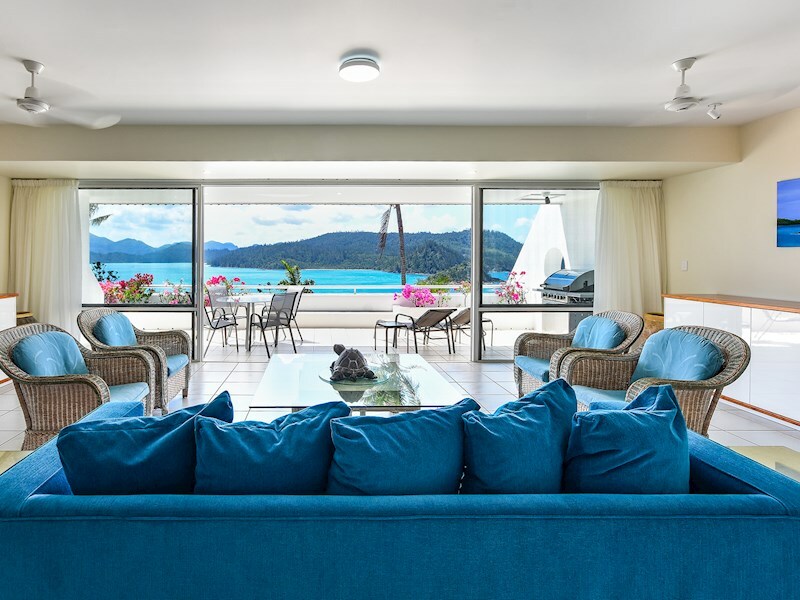 This stylish apartment has been designed with fresh, coastal interiors and has air-conditioning throughout. 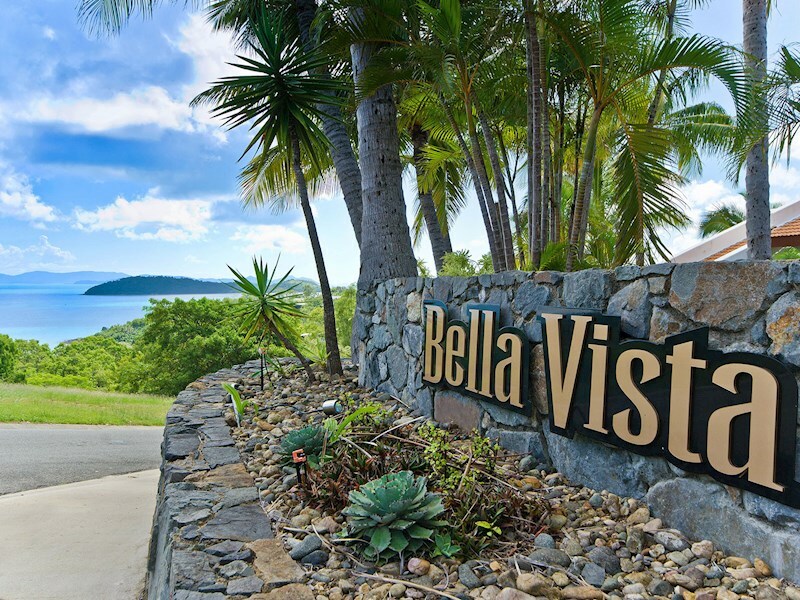 The apartment is just a short walk to Bella Vista's lovely shared lagoon pool. 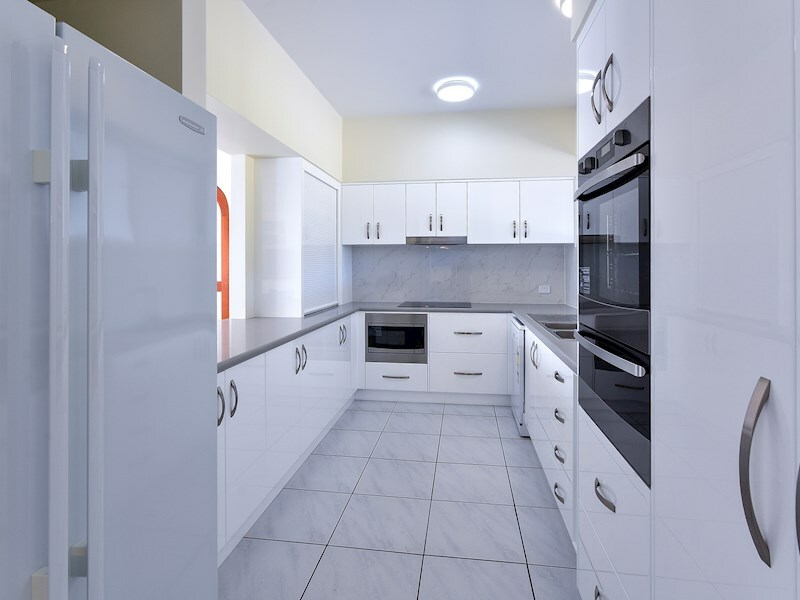 This first-floor apartment is spread over a single level, making it ideal for families with small children.